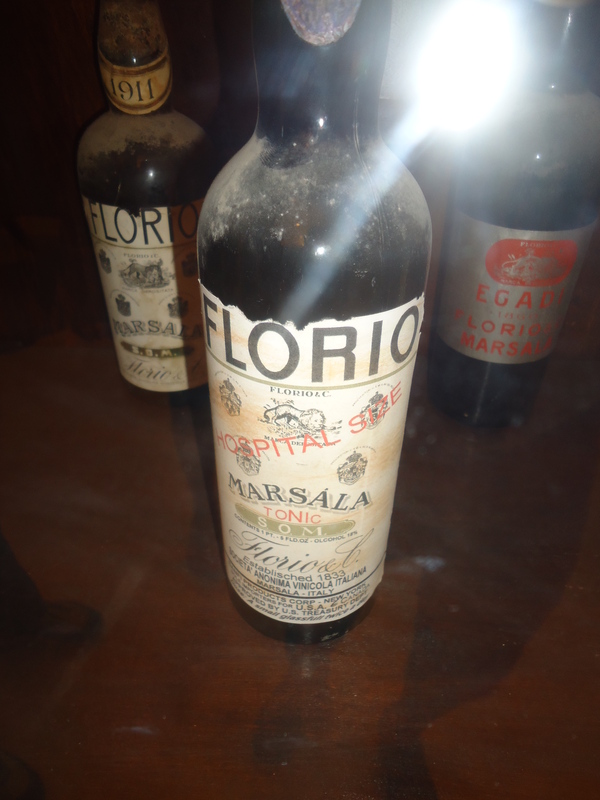 A visit to the wineries of the city of Marsala on the western coast of Sicily would not be complete without a visit to the Cantine Florio, Florio Winery, established in 1833. The winery is located in a Baglio along the coastline of the city. Baglio is the name of large facilites which, with a large gate on the main road, held enclosed quarters of the wine making factory. The Baglio had a center courtyard and all the buildings which allowed those operating inside a totally self sufficient facility with wine making quarters, living facilities, and food processing and storage for the people living at the Baglio. 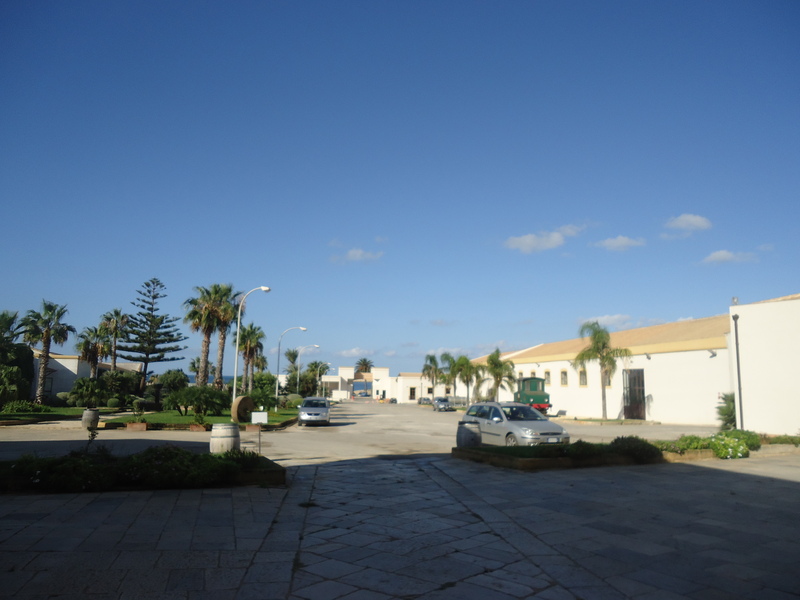 There are several Baglio facilities along the coast of the city of Marsala. Obviously, the coastline location of the Baglio allowed immediate accesss to the sea, as a means of transporting the goods abroad. Today, the Florio winery is a testimonial to the successful wine production of the past and is one of the largest producers of Marsala. At Cantine Florio one can see both the large wooden barrels containing the aging wine as well as the modern steel barrels. Ironically, the creation of Marsala is owed to some British entrepreneurs. 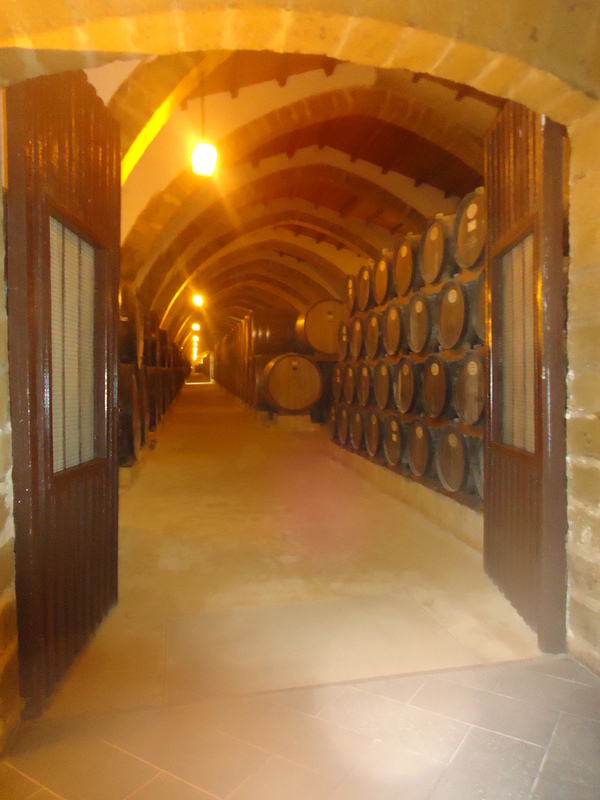 During the years of embargo on the ports of Portugal and Spain, the British realized that Marsala had its own valuable wine which could become a product to export. In fact, the city of Marsala was located on what they called “The Sun Belt.” It was a British entrepreneur who decided to take some barrels of wine from the Florio winery to England; during the voyage, he added alcohol to the barrels to allow the wine to stand the long trip to England. After arriving in England, he realized that the mixture had created a wonderful wine, which is Marsala, known all over the world. At the Florio facility, the floor of the wine cellars is made of TUFO, a rock found on the islands of the area. This rock is crushed to form the pavement of the cellars. The guide told the group that the tufo rock had an impact of the air of the cellars and the closeness to the sea with its salty air also added to the effects on the wine during the aging process. 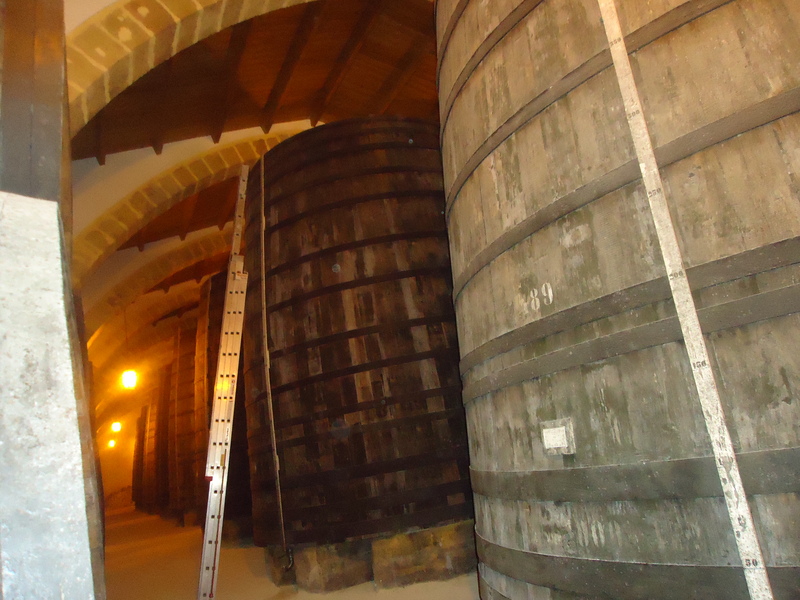 Marsala is aged in barrels which are filled leaving enough space on the top to allow for oxidation In fact, the wine ages through this oxidation. The rich history of the Florio winery sees the business go from a family run one to being purchased by other companies as Cinzano, who owned it from 1924 to 1998. Today a holding company owns the winery, Ilva di Saronno, and through them three big names have come together: Corvo, Duca di Salaparuta and Florio. The guide conducting the tour of the Florio winery shared a very interesting anecdote with the visitors. 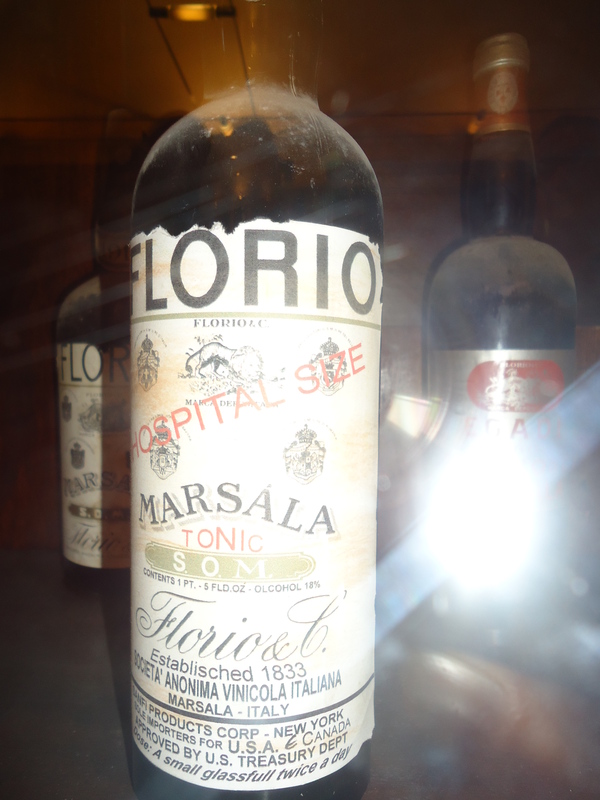 During the Prohibition in the USA, a great marketing strategy was adopted by the Florio winery. Bottles labeled as Hospital Size were exported to the USA for medicinal purposes. Notice the words in red on the bottle below stating Hospital Size in red. As the group listened to the guide explain this strategy, everyone present, remembered how the beneficial effects of Marsala were publicised in the 50’s and 60’s also in Italy. A tradition familiar to anyone who was a young person in those years was the fact that a favorite breakfast Italian grandmothers would serve in the morning was hand beaten eggs with a spoonful of Marsala, Zabaglione. The belief was that Marsala would give people strength! Below are some pictures taken at the Florio winery. 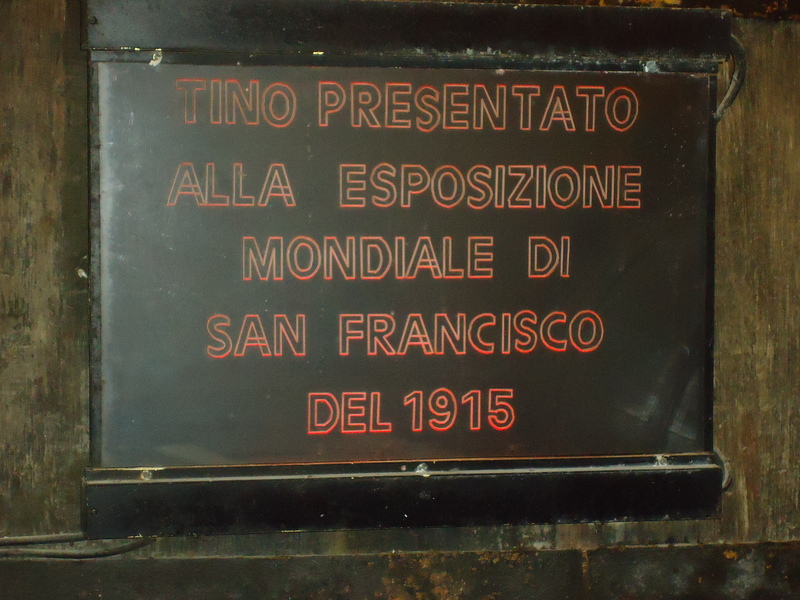 Below is the barrel displayed at the San Francisco World Fair in 1915. Terre Arse, a Marsala Vergine, originally from the coastline towns of Birgi and Spagnola, made from the Grillo grape. It was paired with parmesan, as shown in the above picture. 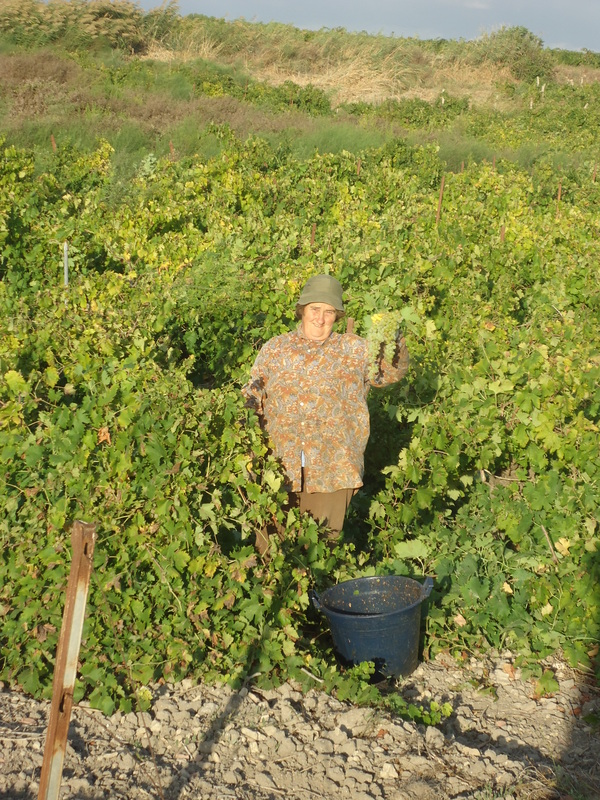 The grapes are grown along the coast and picked at the end of September, as shown by the picture taken last week in Spagnola and shown below. This Marsala is aged for over eight years in oak barrels containing 1,800 liters. Targa, Marsala Semisecco, paired with sweet gorgonzola, also made from the Grillo Grape, and aged over five years in old oak barrels. 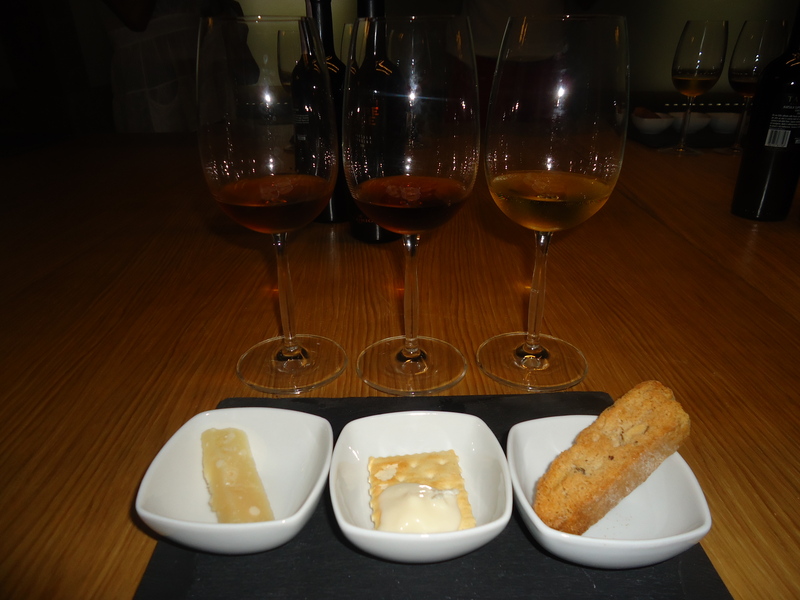 The third wine tasted was a Moscato, liquor, named Ambar and paired with a Cantuccio (a dipping biscuit or cookie made with almonds). Quite a pleasant day for the taste buds!!!!!! How would I order your wine from you to the U.S.